A strong (7.8) earthquake hit Nepal in the area near Barpak, a mountain village between capital Kathmandu and tourist town Pokhara. The earthquake was followed by many powerful aftershocks and a very powerful one (6.7) hit Nepal on Sunday April 26, 2015. The earthquakes caused extensive damage to buildings and thousands of deaths and injuries and was even felt in Pakistan, India and Bangladesh. 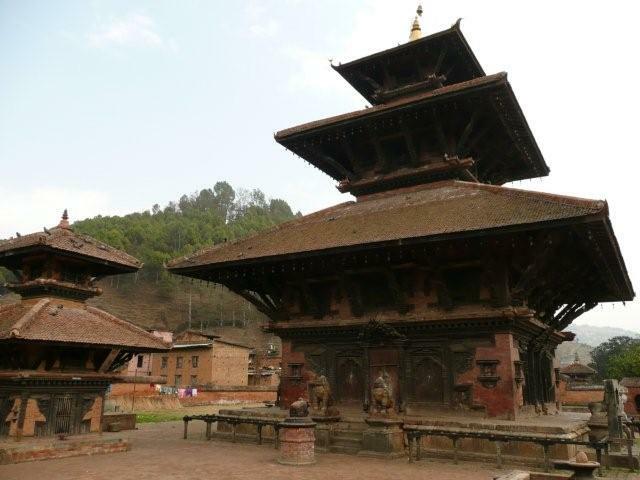 Many (historic) buildings collapsed, temples have been ruined, roads destroyed. Nearly 8000 deaths in Nepal and tens of deaths in India & Tibet. The quake was followed by more than 430 aftershocks and another huge earthquake (6.8) on May 12, 2015. - UN: "1 million Nepal children unable to return to school"
- Are High rise buildings in Kathmandu Valley earthquake proof? A moderate earthquake measuring 5.5 on the Richter scale jolted Nepal's popular tourist hub Pokhara on Saturday with no reports of damage or casualties. Panic-stricken people ran out of their homes into open fields when the tremor was felt in the region around 7:44 pm (local time). A strong earthquake that rocked Kathmandu Valley and neighbouring districts at 11:33 pm on Friday was measured to be 6.0 on the Richter scale, according to National Seismological Centre (NSC). 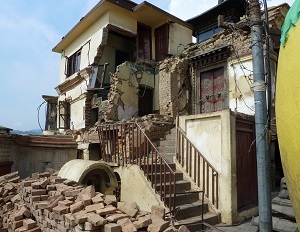 The quake followed by aftershocks sent people out of their houses in the Valley at midnight. The epicentre of the quake lies some 60 kilometre north of Jiri, Dolakha. A survey by KVERMP (Kathmandu Valley Earthquake Risk Management Project) in 2003/2004 warned that around 40.000 people might die and nearly 100.000 might suffer injury requiring hospital services when another earthquake measuring around 8.4 on the Richter scale (like the one in 1934) would hit the country. The survey also estimated that six out of ten buildings would collapse. On top of that KVERMP also warns that 95 percent of water supply pipes might explode and 50 percent of bridges and 10 percent of roads could collapse in the valley. 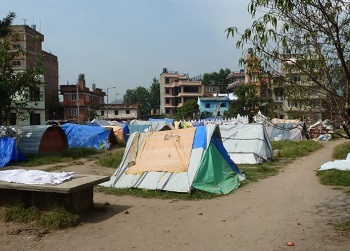 In the face of such a calamity people would need prompt hospital services. But the major hospitals in Kathmandu are poorly built so most of them would be non-operational and the remaining ones will also see services disrupted. Is Nepal prepared to face such a disaster?